Who Will Win the WWE Intercontinental Championship Ladder Match? Not since the first time at WrestleMania X has the Intercontinental championship been decided in a ladder match at the Showcase of the Immortals. Seven men will vie for the coveted secondary title in an attempt to create their WrestleMania moment. Out of those seven WWE Superstars, only one can unhook the championship and be declared the winner. Wade Barrett is currently an uncrowned champion, much like he was for the past couple of weeks as the other six competitors played hot potato with the championship, the title has been forfeited so that it can be suspended high above the rafters for this Sunday’s match. Can Wade successfully retain his championship even though the odds are stacked against him? R-Truth has been stealing the championship while stating a case for himself, and coming up with a nifty hashtag #GiveTruthAChance. Prior to the Road to WrestleMania, R-Truth has been virtually non existent for the better part of three years. Though his acrophobia might get in the way of climbing the ladder for the industry’s second top prize, can he stomach it and make himself relevant once again? Luke Harper is the only member from the Wyatt Family to actually have some championship success on the main roster. And after being set free, Harper’s 6-foot-5 frame will certainly play a factor in this ladder match. Stardust shouldn’t even be in this match because he still has some unresolved issues with his brother Goldust. And his outburst following their match at WWE Fastlane indicated that Stardust has taken over Cody Rhodes. By separating the brothers at WrestleMania, WWE has consented for the darkness of the cosmos to continue poisoning Cody’s mind, and by placing a championship in front of Stardust’s face, that poison is morphing into something Golem-like. Dean Ambrose has stated that he wants his picture to be on the wall at WWE HQ with the Intercontinental championship, so that he may be immortalized in the record books, but what he should be concerned with is surpassing the other members of The Shield on their race to the top. Roman Reigns is in the World title picture, while Seth Rollins holds the Money in the Bank briefcase that ensures a World championship match at any point in time, but what about Dean? Can an Intercontinental championship run place him on the right path towards the World title? Dolph Ziggler has been on a roll as of late with two clean pinfall victories over the seventh entrant, Daniel Bryan. Originally conceived as a possible match at WrestleMania, Ziggler and Bryan have made the most of their opportunities in the main events of SmackDown and RAW. Some have labeled Ziggler as the next Shawn Michaels, but he hasn’t been able to catapult to that next level. 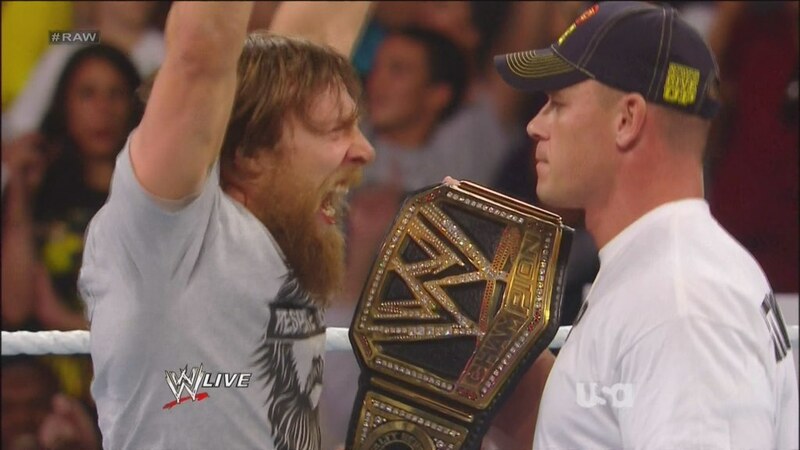 Could this WrestleMania moment be what DZ needs? Daniel Bryan, after coming back from what seemingly was an early retirement, vowed to win the Royal Rumble and headline WrestleMania. When that didn’t work, he vowed that he would beat Roman Reigns at WWE Fastlane to earn the right to face Brock Lesnar for the World title. But when that didn’t work, he succumbed to the harsh reality that he would not main event WrestleMania. When it comes to this Intercontinental championship ladder match, three possibilities come to mind: Ambrose, Ziggler and Bryan. These three men would make excellent champions. Ambrose is a former United States champion, a title that John Cena will be vying for at WrestleMania; Ziggler is a former two-time World champion and four-time IC champion; and Bryan has won every championship title in the WWE except for the Intercontinental. This title has been held by the greats: Ricky “The Dragon” Steamboat, “Macho Man” Randy Savage, “Rowdy” Roddy Piper, HBK, Razor Ramon. These are the guys that Daniel Bryan thinks of when it comes to having better matches on the card than those in the World title picture. And seeing as how this year’s World Title bout features Brock Lesnar vs Roman Reigns, these seven competitors can undoubtedly steal the show at WrestleMania. When Chris Jericho decreed that there would be a third autobiography entitled The Best in the World: At What I Have No Idea, the Jerichoholic inside of me screamed out “Yeah BOY!” It was time to Break Down the Walls, download a fresh copy on my kindle, which became KINDLE IS JERICHO!! !, and take another froot journey with Papa Jericho! Because it would be the End of the World as we knew it. I remember how much people were praising Jericho’s debut book A Lion’s Tale, saying it was the best wrestling book they had ever read (Sorry Mick). So when I read it, my expectations were high to say the least, but dear lord was it a phenomenal book! Yet people were upset that it ended just as the millennial clock counted down to zero before his infamous debut in the WWE. I felt it was a stroke of genius because the journey Around the World in Spandex lead to that moment. 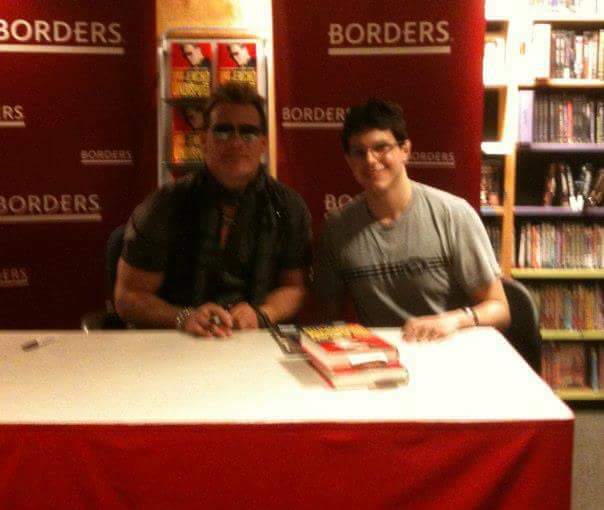 Then he released his second book Undisputed covering his first stint in the WWE: his journey on becoming the World Champion in 1,372 Easy Steps; and the start of his rock band Fozzy. A very froot read, but I found myself enjoying the Fozzy chapters more than the chapters dealing with Jericho being ostracized in the WWE for being a WCW guy. And I knew following the cliffhanger from A Lion’s Tale, Undisputed would end right before his “Second Coming” in 2007. So having read the first two, I was more than hyped about The Best in the World because I wanted to read Chris’ in depth perspective into his killer feuds with Shawn Michaels, Rey Mysterio, and CM Punk. Especially the HBK feud. While watching that rivalry unfold, I knew it was special. But I also knew that one day Chris would pen it into a new book. Despite how hyped I was about The Best in the World, there was a slight downside to reading this book considering that most of the stories were already discussed on Chris Jericho’s podcast Talk is Jericho. He’s had Rey Mysterio on the podcast; he’s had his buddy Speewee to talk about the great “Boots” rib; he’s had Wade Barrett to talk about NXT; he spoke about CM Punk at the open of one episode; he’s had Snookie to talk about his experience on Dancing With The Stars… so reading The Best in the World felt like reading a transcript of the TIJ podcast. Don’t get me wrong, The Best in the World: At What I Have No Idea is still a great read, and for as long as he continues writing, I will always be down to go for a ride with Papa Jericho. And Chris, if you’re reading this: Switzerland Beach, I promise to find the time. Blogger’s note: I was sort of mentioned in this book seeing as how me and my friend Surge Awesome, of WTX Video Podcast fame (subscribe here), went to see Chris Jericho live at B.B. Kings in NYC to watch him perform with Fozzy–the first show of the Chasing the Grail tour. So if you see Chris, tell him the Tastic One sent ya! Before we jump into the crazy world of professional wrestling, I want to congratulate The Patriots on winning this year’s Super Bowl. In an ending that baffled and ticked off Seahawks fans – including Daniel Bryan and Brie Bella – many are calling it the worst ending in Super Bowl history. Similar sentiments were felt at the conclusion of last week’s Royal Rumble event, which if you haven’t read “Didn’t Like the Royal Rumble? Better Call Paul” you should definitely go back and read it as wrestling fans attempt to change the fate of this year’s WrestleMania. Following the events of Aztec Warfare, the Lucha Underground champion Prince Puma has had a tough road in the temple, proving himself as a champion, while adding prestige to the promotion’s first title. But the inaugural champion has hit a massive road block as The Machine known as Cage has targeted Prince Puma and the Lucha Underground championship. The charm that Lucha Underground has is a very old school sense of storytelling. Reminiscent of when Shawn Michaels went into his first WWE championship match, Prince Puma went into Aztec Warfare under the tutelage of Mexican legend Konan and–against 19 other luchas–came out on top as the Lucha Underground champion. And as the white-meat babyface champion, Prince Puma took on all comers including the challenge from Fenix. But as soon as one challenge was met, another suddenly emerged. The King Kong Bundy to Hulk Hogan’s championship reign if you will, The Machine known as Cage decimated Puma with powerhouse moves and demanded a championship match. Amd even though Cage has a clear weight advantage and is noticeably much stronger, Prince Puma doesn’t back down. Much like the early days of WWE, Lucha Underground is feeding Puma his first monster heel. Despite the statistics that would argue that Puma doesn’t have a snowball’s chance of defeating the much larger Cage, it’s the heart of a champion and of a lucha that rallies the support of the fans, and gives the champion the strength needed to overcome adversity. But all the warrior pride in the world cannot block a shot to the grapefruits. Cage was on the losing end of that championship match and needed to keep his heat going. So from the pages of “The Dirtiest Player in the Game” Ric Flair, Cage went for the low blow: standard heel tactic. He then attacked the Mexican legend Konan: average heel tactic. And finally, he ripped apart the Lucha Underground championship: SUPERHUMAN heel tactic! Frankly, as cool as it might have been on paper to have the monster heel rip apart the promotion’s championship, the Lucha Underground title shouldn’t have been ripped apart because it made the title look cheap. With gold plates supposedly melted down from Aztec gold, the insides of the title itself looked as legit as Damien Mizdow’s stunt title. After such a humiliating beat down, how will Prince Puma enforce his status as a champion without a championship? Does Destination X Diminish the X Division Championship? With the recent title swaps between Austin Aries and Chris Sabin, some wrestling fans were outraged on how TNA is treating the credibility of the X Division championship. At Destination X, Chris Sabin, the X Division champion, will relinquish ownership of the title for a World Heavyweight championship match against Bully Ray. So has Option C diminished the X Division title to the point that it’s a “throwaway”? When Austin Aries, who has established himself as the longest reigning X Division champion in the company’s history, created Option C last year, it was to build more credibility, not take away from it. Remember, Hulk Hogan gave A-Double two options: either remain the X Division champion; or forfeit the title for a World title match. Forfeiting the title–because Hulkster would not allow for a dual title holder–would have meant that Aries didn’t care about the X Division title. With the creation of Option C, the championship would be revered and the champion would be looked at as a future World champion. The X Division, first and foremost, has always been about showcasing the talents of fast and athletic wrestlers.The World champions in the world of professional wrestling has always favored the larger than life characters–Hulk Hogan being the epitome of it all. It wasn’t until the 90s that smaller guys like Bret Hart and Shawn Michaels broke the mold, crossed the line, and set a new standard of what a World champion was. So Option C doesn’t tarnish the X Division title, it creates an opportunity for someone who doesn’t look like Hogan or John Cena to live the life long dream of being World champion. As for the title swaps, some may not like it but this blogger feels it was necessary. Chris Sabin came back from a 24-month rehabilitation hiatus, and he returned with a killer new finisher–All Hail Sabin. But aside from capturing the X Division championship at Slammiversary–besting Suicide and the former X Division champion Kenny King–what credibility did Sabin have towards Bully Ray and the TNA World Heavyweight championship? The loss to Aries (“Austin Aries’ Suicide Mission“) followed up with an incredible rematch against a former World champion, built Sabin as a credible threat to Bully Ray. Some have tried to compare Option C to the WWE Money in the Bank concept. Far from it, MITB creates a short cut to either the WWE or World Heavyweight championships since the champion doesn’t have prior notice or time to prepare for the match. Over in TNA, the World champion knows when and where the title defense will take place. So those quick to point the finger, slow your rolls, playas. Answer the Question: Does Option C Diminish the TNA X Division championship?